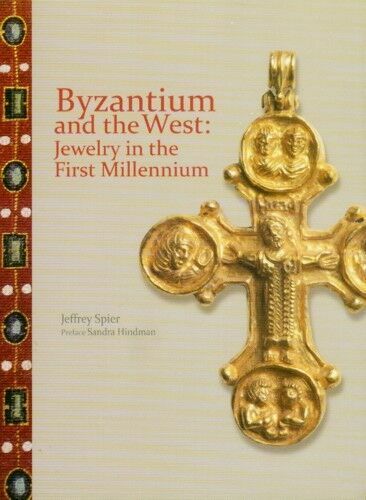 Seller: ancientgifts (4,593) 100%, Location: Lummi Island, Washington, Ships to: Worldwide, Item: 123379638654 Byzantium and the West: Jewelry in the First Millennium by Jeffrey Spier and Sandra Hindman. NOTE: We have 75,000 books in our library, almost 10,000 different titles. Odds are we have other copies of this same title in varying conditions, some less expensive, some better condition. We might also have different editions as well (some paperback, some hardcover, oftentimes international editions). If you don’t see what you want, please contact us and ask. We’re happy to send you a summary of the differing conditions and prices we may have for the same title. DESCRIPTION: Paperback. Publisher: Paul Holberton (2012). Pages: 200. Size: 9 x 6½ inches; 1½ pounds. "Byzantium and the West: Jewelry in the First Millennium" assembles approximately 40 previously unpublished objects made of precious metals and including primarily rings, but also pendants, earrings, and brooches from the third to the seventh centuries. The scholarly text examines the development of jewelry in Rome and Byzantium during this period, focusing on clusters of examples of similar date and origin and exploring the interrelationships between East and West during these five centuries of the Christian era. This was the time when the Roman Empire was gradually replaced by smaller social units led by barbarian invaders, rulers who spread through Europe and developed new styles of jewelry; it was also when the imperial capital shifted eastward to the newly founded city of Constantinople. Among the themes treated are the transition from late Roman types to Byzantine ones, including the design of new shapes; an interest in exotic stones, and changes in fashion; the function of rings (marriage, personal monograms, official status, and religious iconography), and the Western imitation and transformation of Byzantine prototypes. 208 pages, many color illustrations. Issued in conjunction with a 2012 exhibition. 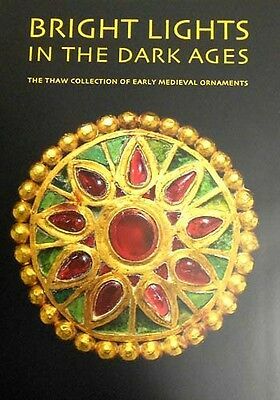 This book is the second in an ongoing occasional series published by Les Enluminures about medieval rings and jewlery, of which "Toward an Art History of Medieval Rings" was the first in the series. CONDITION: NEW. New oversized softcover. Paul Holberton (2012) 200 pages. Unblemished, unmarked, pristine in every respect. Pages are pristine; clean, crisp, unmarked, unmutilated, tightly bound, unambiguously unread. Satisfaction unconditionally guaranteed. In stock, ready to ship. No disappointments, no excuses. PROMPT SHIPPING! HEAVILY PADDED, DAMAGE-FREE PACKAGING! Meticulous and accurate descriptions! 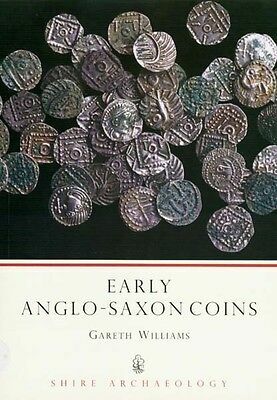 Selling rare and out-of-print ancient history books on-line since 1997. We accept returns for any reason within 14 days! #7874b. PLEASE SEE DESCRIPTIONS AND IMAGES BELOW FOR DETAILED REVIEWS AND FOR PAGES OF PICTURES FROM INSIDE OF BOOK. PLEASE SEE PUBLISHER, PROFESSIONAL, AND READER REVIEWS BELOW. PUBLISHER REVIEWS: REVIEW: This full-color catalog explores the interrelationships between the East and West during the first millennium. This was the first time that the Roman Empire was gradually replaced by barbarian invaders, who spread through Europe and created new styles of jewelry; it was also when the capital shifted eastward to the newly founded city of Constantinople. 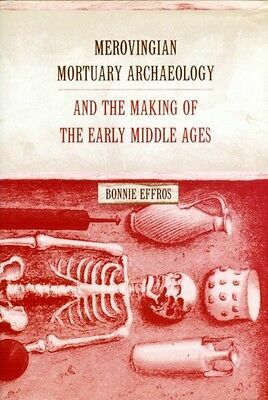 Among the themes treated are the transition from Late Roman types to Byzantine ones, including the design of new shapes; an interest in exotic stones and changes in fashion; the function of rings (marriage, personal monograms, official status and religious iconography); and the Western Gothic imitation and development of Byzantine prototypes. Examples from the early third and fourth centuries in Rome feature an elaborate 'key' ring, pierced with the words utere felix (use with luck) and an ornate yet sophisticated band set entirely with emeralds. There is a late fifth-century Byzantine Parure that includes a pendant cross and related earrings. From the same era, an Ostogothic group is comprised of polyhedral earrings, a pendant cross and a ring, all with beautiful garnet inlay. Jeffrey Spier is a university associate and adjunct professor at the University of Arizona. 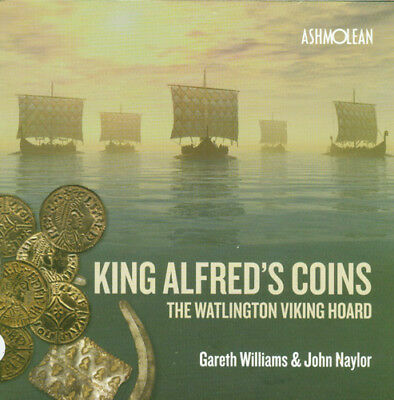 He has published extensively on Greek and Roman gems and jewelry and on early Christian and Byzantine art. His publications include: Treasures of the Ferrell Collection (2010); Picturing the Bible. 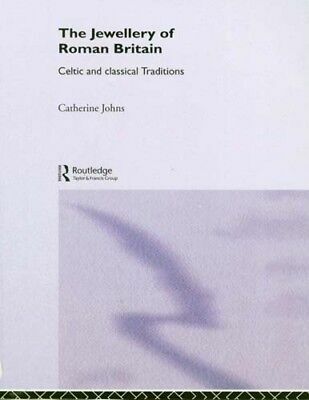 The Earliest Christian Art (2007); Late Antiquity and Early Christian Gems (2007); and Ancient Gems and Finger Rings: Catalogue of the Collections. The J. Paul Getty Museum (1993). The Preface is by Sandra Hindman, a medievalist and owner of Les Enluminures (Paris, Chicago and New York). Accompanying the exhibition, Byzantium and the West: Jewelry in the First Millennium, held in November 2012 at Les Enluminures, New York. Sandra Hindman is Professor Emerita Art History at Northwestern University. Professor Hindman is author, co-author, or editor of more than ten books, as well as numerous articles on the history and reception of illuminated manuscripts and on medieval rings, including “The Robert Lehman IV Illuminations” (New York Metropolitan Museum of Art, 1997); “Manuscipt Illuminations in the Modern Age: Recovery and Reconstruction” (Mary and Leigh Block Museum of Art, 2001); and “Toward an Art History of Medieval Rings: A Private Collection (Paris, 2007). REVIEW: This book is the second in a series we envision on medieval and Renaissance jewelry. The first “Toward an Art History of Medieval Rings” presented rings from 300 to 1600 A.D., spanning the period of late Antiquity to the beginnings of the Baroque. It placed most major types of rings in their art-historical context with comparisons to works of art in other media. Subsequent books, this one included, will explore specific themes within this time period. We have selected the theme “Byzantium and the West” in part because it focuses on cultural exchange in the pre-medieval era, on the phenomena of continuity and change. 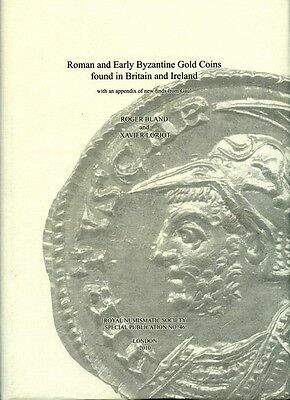 There is to date no comprehensive survey of Byzantine jewelry; see, however, the catalogues of Ross (2005) and the survey by Baldini Lippolis (1999). The study of Merovingian jewelry benefits from the excellent work by Hadjadj (2008). However, little has been done on the relationships between Byzantium and the West. 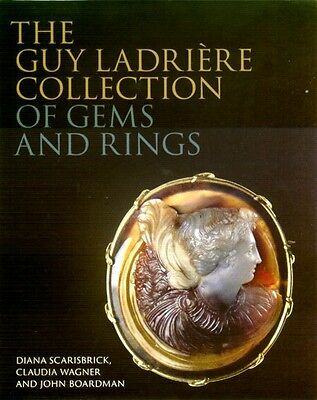 The approximately forty jewels, mostly rings, but also two significant parures (sets of matching pieces of jewelry), included in this book do not present a comprehensive overview of jewelry during this period. Nevertheless, they do demonstrate the continuity between Roman and Byzantine rings, for example, in the shared interest in marriage rings and the taste for fine gems. They also highlight some significant changes that took place in the early years of the Byzantine Empire, such as a loss of interest in engraved stones, an interest in polychromy and in complex construction, and a new religious iconography. The book also offers a glimpse at the influence of Byzantium on Western Germanic culture, a subject that still merits further study. Byzantine influence accounts for the persistence of certain forms in the West, architectural rings, double-bezel rings, and pyramid rings, for example. This phenomenon can surely be partially explained by the presence of actual Byzantine rings in German treasures as described in texts and supported by archaeological evidence. 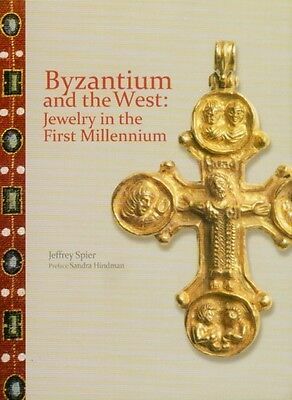 REVIEW: Well-qualified to explore the theme of “Byzantium and the West” through his many admirable publications, Professor Spier has organized the diverse jewels in four roughly chronological and coherent groups: late Roman rings before Byzantium (3rd century), late Roman rings at the end of the western Empire (4th and 5th centuries), Byzantine rings and jewelry of the 6th and 7th centuries, and jewelry of the Migration-era in the 6th and 7th centuries. Some highlights are worth signaling. There is a parure with carefully matched pieces that includes the only complete marriage ring assembled with an engraved disc portraying the couple, and a pectoral cross and earrings of exceptionally high quality and clearly the work of a single goldsmith. Fashionable among wealthy and pious Byzantine women, an embossed pectoral cross is one of the finest known. A finely made monogram ring presents the only known version of a complex hinge construction, found more typically in bracelets and necklaces. Most Byzantine monogram rings were made for men, but this group exceptionally includes two monogram rings for women, named Theodote and Anna. A fine parure that belonged to an Ostrogothic woman reveals parallels with both Byzantine and Anglo-Saxon jewelry, such widespread influences typical of Migration-era art. 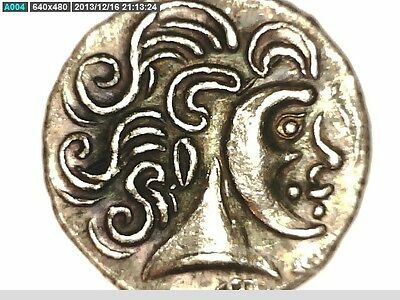 This study concludes with a remarkable Frankish disc brooch of the mid-seventh century. Iconoclasm, the debate about the legitimacy of religious art, began in Byzantium around 730 and continued until about 787. During this period and for the last two centuries of the millennium, there is a paucity of surviving Byzantine jewelry and few rings of note. At the same time, goldsmiths in the West evolved, developing their own indigenous styles. As Jeffrey Spier eloquently states: “by the seventh century Byzantium was only a dim and distant presence to most of the Germanic people in the West. REVIEW: Jeffrey Spier is adjunct professor of classics at the University of Arizona, Tucson. Herbert L. Kessler is professor of the history of art at Johns Hopkins University. Steven Fine is Professor of Jewish History at Yeshiva University. Robin M. Jensen is Luce Chancellor's Professor of the History of Christian Worship and Art at Vanderbilt University. Johannes G. Deckers is professor at the Institute for Byzantine Studies, Ludwig-Maximilians-Universitat, Munich. Mary Charles-Murray is professor of theology at the University of Oxford. PROFESSIONAL REVIEWS: REVIEW: Small and precious, rings and other jewels traveled easily as personal belongings and as gifts. They offer invaluable archaeological and art-historical evidence of exchanges between different cultures, here Byzantium and the West. Professor Spier’s unique perspective demonstrates the relationship between certain types of jewels from Byzantium and others found in Merovingian Gaul, and highlights their obvious Byzantine origins. The selection of exceptional jewelry and the accompanying scholarly commentary make this book an important contribution [Reine Hadjadi, Author of “Bagues Merovingiennes Gaule du Nord”].. REVIEW: In this authoritative appraisal of the personal ornaments of the peoples of the Late Roman, Byzantine and Merovingian worlds, Jeffrey Spier explains their significance in clear and simple language. 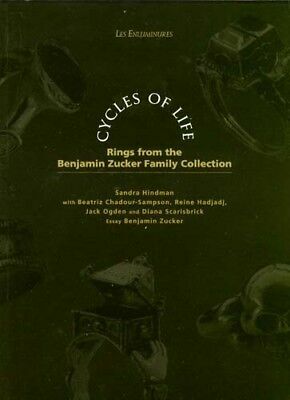 As we have long needed a book written by a born teacher which distinguishes between the goldsmith’s work of each of these remote periods, this one could not be more welcome [Diana Scarisbrick, author of “Rings: Jewelry of Power, Love, and Loyalty”]. REVIEW: Les Enluminures opens its Fall show in November with an exhibition and catalogue entitled Byzantium and the West: Jewelry in the First Millennium. The exhibition assembles approximately 40 objects made of precious metals and including rings, pendants, earrings, and brooches from the third to the tenth centuries and explores the interrelationships between East and West during the first millennium. This book assembles approximately 40 previously unpublished objects and examines the development of jewelry in Rome and Byzantium during this period exploring the interrelationships between East and West during these five centuries of the Christian era. 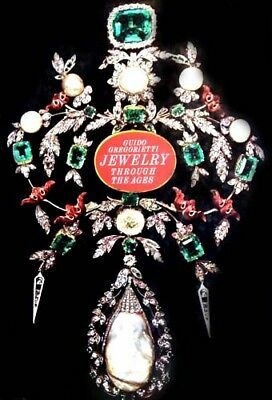 READER REVIEWS: REVIEW: The imagery is absolutely stunning, the examples of jewelry spectacular. I always ship books Media Mail in a padded mailer. This book is shipped FOR FREE via USPS INSURED media mail (“book rate”). All domestic shipments and most international shipments will include free USPS Delivery Confirmation (you might be able to update the status of your shipment on-line at the USPS Web Site) and free insurance coverage. A small percentage of international shipments may require an additional fee for tracking and/or delivery confirmation. If you are concerned about a little wear and tear to the book in transit, I would suggest a boxed shipment - it is an extra $1.00. Whether via padded mailer or box, we will give discounts for multiple purchases. International orders are welcome, but shipping costs are substantially higher. Most international orders cost an additional $9.99 to $37.99 for an insured shipment in a heavily padded mailer, and typically includes some form of rudimentary tracking and/or delivery confirmation (though for some countries, this is only available at additional cost). There is also a discount program which can cut postage costs by 50% to 75% if you’re buying about half-a-dozen books or more (5 kilos+). Rates and available services vary a bit from country to country. You can email or message me for a shipping cost quote, but I assure you they are as reasonable as USPS rates allow, and if it turns out the rate is too high for your pocketbook, we will cancel the sale at your request. ADDITIONAL PURCHASES do receive a VERY LARGE discount, typically about $5 per book (for each additional book after the first) so as to reward you for the economies of combined shipping/insurance costs. Your purchase will ordinarily be shipped within 48 hours of payment. We package as well as anyone in the business, with lots of protective padding and containers. All of our shipments are sent via insured mail so as to comply with PayPal requirements. We do NOT recommend uninsured shipments, and expressly disclaim any responsibility for the loss of an uninsured shipment. Unfortunately the contents of parcels are easily “lost” or misdelivered by postal employees – even in the USA. That’s why all of our domestic shipments (and most international) shipments include a USPS delivery confirmation tag; or are trackable or traceable, and all shipments (international and domestic) are insured. We do offer U.S. Postal Service Priority Mail, Registered Mail, and Express Mail for both international and domestic shipments, as well United Parcel Service (UPS) and Federal Express (Fed-Ex). Please ask for a rate quotation. We will accept whatever payment method you are most comfortable with. If upon receipt of the item you are disappointed for any reason whatever, I offer a no questions asked return policy. Send it back, I will give you a complete refund of the purchase price (less our original shipping costs). Most of the items I offer come from the collection of a family friend who was active in the field of Archaeology for over forty years. However many of the items also come from purchases I make in Eastern Europe, India, and from the Levant (Eastern Mediterranean/Near East) from various institutions and dealers. Though I have always had an interest in archaeology, my own academic background was in sociology and cultural anthropology. After my retirement however, I found myself drawn to archaeology as well. Aside from my own personal collection, I have made extensive and frequent additions of my own via purchases on Ebay (of course), as well as many purchases from both dealers and institutions throughout the world - but especially in the Near East and in Eastern Europe. I spend over half of my year out of the United States, and have spent much of my life either in India or Eastern Europe. In fact much of what we generate on Yahoo, Amazon and Ebay goes to support The Hermitage Museum in St. Petersburg, as well as some other worthy institutions in Europe connected with Anthropology and Archaeology. I acquire some small but interesting collections overseas from time-to-time, and have as well some duplicate items within my own collection which I occasionally decide to part with. 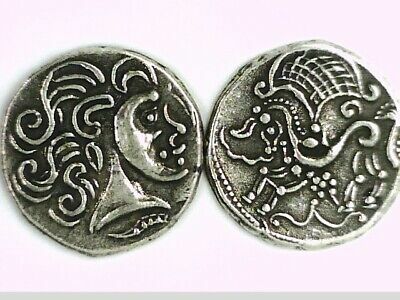 Though I have a collection of ancient coins numbering in the tens of thousands, my primary interest is in ancient jewelry. My wife also is an active participant in the "business" of antique and ancient jewelry, and is from Russia. I would be happy to provide you with a certificate/guarantee of authenticity for any item you purchase from me. There is a $2 fee for mailing under separate cover. Whenever I am overseas I have made arrangements for purchases to be shipped out via domestic mail. If I am in the field, you may have to wait for a week or two for a COA to arrive via international air mail. But you can be sure your purchase will arrive properly packaged and promptly - even if I am absent. And when I am in a remote field location with merely a notebook computer, at times I am not able to access my email for a day or two, so be patient, I will always respond to every email. Please see our "ADDITIONAL TERMS OF SALE." Condition: NEW. 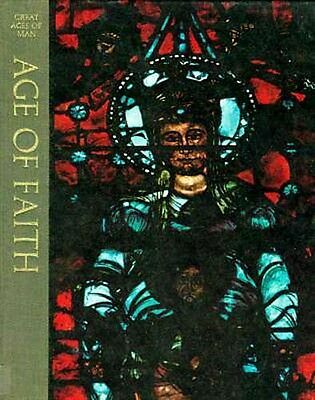 See detailed condition description below., Material: Paper, Provenance: Byzantium, Publisher: Paul Holberton (2012), Format: Softcover, Length: 200 pages, Dimensions: 9 x 6½ inches; 1½ pounds. Popularity - 296 views, 1.4 views per day, 212 days on eBay. Super high amount of views. 1 sold, 0 available. 296 views, 1.4 views per day, 212 days on eBay. Super high amount of views. 1 sold, 0 available.